Welcome to Media Insider, PR Newswire’s round up of media stories from the week. Photo by Bob Simmons, used under CC BY-NC-ND 2.0. A new initiative called “Skype Seats” is coming to a White House press briefing room near you. Press Secretary Sean Spicer mentioned the initiative during his first press briefing, according to Mediaite. The idea wasn’t originally Spicer’s. NBC’s Chuck Todd made the suggestion on a Poynter podcast a week earlier. 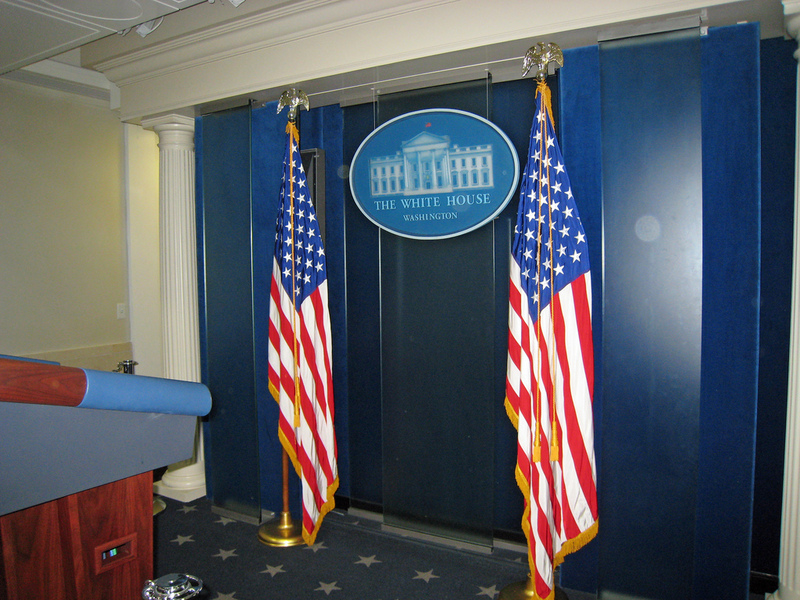 Either way, the initiative offers journalists who are not local to the White House access to ask questions via four Skype seats. Snapchat has no intention of being at the center of a fake news controversy, so it updated its guidelines as a preventative measure. The new guidelines restrict publishers from sharing images on Discover that do not have real news or editorial value, New York Times reports. It will also prevent the inclusion of links from outside reports and sources that could be considered fake news. The company aims to be an “informative, factual and safe environment for everyone,” according to a company spokeswoman. The updated guidelines will ensure that content is fact-checked and accurate, and not risqué and misleading. Have you heard about the latest Snapchat clone? Facebook releases new way for publishers to package stories. At least six journalists were arrested while covering the unrest around Donald Trump’s inauguration. If convicted, they face up to 10 years in prison and a $25,000 fine. According to The Guardian, the journalists were charged with the most serious level of offense under Washington DC’s law against rioting — even though they were not participating in the riots. The Committee to Protect Journalists said the charges against journalists covering protests should be dropped, and that the arrests send a “chilling message to journalists covering future protests.” The six journalists have since been released and await further hearings in February and March. Here are some things to know before you cover traumatic events. The Washington Post created a product for its international audience of over 25 million readers. It’s called Today’s WorldView. Anchored by foreign affairs reporter Ishaan Tharoor, the weekday newsletter will draw from the vast resources of The Post’s newsroom. Tharoor will lead each edition with “The Takeaway,” offering a daily view of the global picture under a new U.S. President. The Post plans to monitor newsletter performance as it pursues future ideas for engaging audiences abroad. The Players’ Tribune will launch a network of podcasts this year to allow athletes a platform to share their stories. First up is “Giant Steps,” an oral history of the 1986 Super Bowl-winning Giants football team. It will be narrated by former Giants pro Michael Strahan and feature interviews with players and coaches. Digiday reports that more podcasts are expected to come later in the year as the company looks to grow usage and revenue. DGital Media will help The Players’ Tribune with distribution and sales, and provide studio space for podcast recording. Did you also see that Cleveland.com will cover the Ohio State 2017 National Signing Day with a podcast?